With the holidays, thoughts turn to giving. We love that today, Giving Tuesday, is dedicated as an annual observation of doing just that. Change Your Life Your Life Travels will be featuring various organizations throughout the month of December that are great to volunteer with or contribute to as you consider how to spread some holiday love and good will. Kicking things off is WriteGirl. This program is dear to my heart. Knowing about my desire to start a writing program in Mfuwe after my travels to Zambia (the very reason this website came into being! ), two friends suggested I get started a bit closer to my Los Angeles-based home through WriteGirls' mentorship organization. Read below and I'm sure you'll be as inspired, as I continue to be, by each young writer who spreads their wings through WriteGirl. Picture 160 girls and women immersing themselves in journalism at the Los Angeles Times headquarters, writing their personal ballads at Disney Hall, or stirring up character scenes in The Academy’s Linwood Dunn Theater – heads down, pens scribbling on paper. 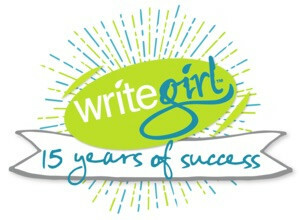 Now celebrating 15 successful years, WriteGirl, a Los Angeles-based creative writing and mentoring organization, continues to pair underserved girls with professional women writers for one-on-one mentoring, workshops, public readings, publishing opportunities, and college-prep endeavors. WriteGirl provides a valuable space for girls – a safe haven for girls to connect with other girls, to meet accomplished women and be inspired, a place to stand up for their ideas and ideals and most importantly, to celebrate and cultivate their own unique voices. At the core of it all is WriteGirl Founder and Executive Director Keren Taylor, who was named a 2014 CNN Hero for her commitment to empowering girls through creativity. WriteGirl mentees with WriteGirl’s Founder and Exec. Director, Keren Taylor. 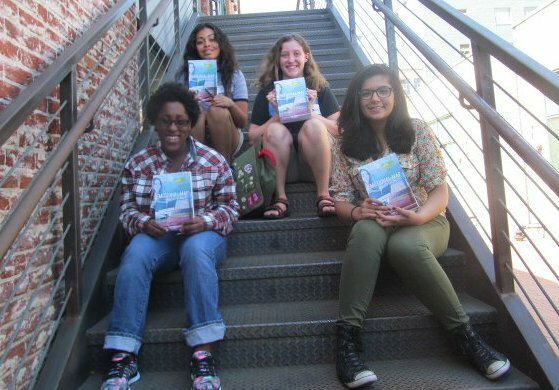 Our Core Mentoring Program harnesses the talent of some of LA’s most well-known women writers to show our girls what they’re capable of creating. The result? 100% of our Core Mentoring Program mentees have graduated high school and have gone onto college. Before joining WriteGirl, many of these amazing girls don’t even think about college as an option for their future. At our annual songwriting workshop, professional singer/songwriters help the girls craft songs, and then perform the songs live onstage at the end of the day. Our screenwriting workshops bring in acclaimed screenwriters to help girls write their scenes, and real Hollywood actors to perform them onstage. Having each girl’s work come to life off the paper is one of the most rewarding opportunities that cultivates her own potential. Mentor and mentee pairs also meet on a weekly basis for writing sessions to give girls focused, individualized guidance. One pair may find a quiet corner on the floor in the history section of a nearby library, while two figures huddle over journals in the cafe at a local bookstore – a woman and a girl, writing stories together. Public speaking events, like our annual anthology reading at Skylight Books, are great opportunities for our girls to read and perform their own work. WriteGirl teens read their work at bookstores, festivals and special events, and WriteGirl publishes creative work from its members in an anthology. Our 14th anthology and latest book, Emotional Map of Los Angeles, released in May 2015, shares the poems and stories of 190 girls and women, chronicling their lives, their families, their dreams, and their emotions connected to Los Angeles. WriteGirl is proud to have won 72 national and international book awards since our first anthology! Our WriteGirl mentees have tremendous talent, including Amanda Gorman, who was chosen as the first ever Los Angeles Youth Poet Laureate for her work. Our WriteGirl alumni have grown into thriving careers as well. Here’s a snapshot of a few of our alums: Jeanine Daniels is a writer and producer who just landed a pilot on HBO, Ariel Edwards-Levy is a political journalist with the Huffington Post in Washington D.C., Alma Castrejon works for the UCLA Labor Center, focusing on immigrant rights and outreach, Jennifer Gottesfield is working on public health initiatives and mentoring youth in Malawi, and Lovely Umayam, one of our very first WriteGirl mentees, is a fellow with the U.S. Department of Energy, focusing on nuclear nonproliferation. Our girls change the world. First Lady Michelle Obama honored WriteGirl with the National Arts and Humanities Youth Program Award in 2013. In 2013, WriteGirl was honored by First Lady Michelle Obama with the National Arts and Humanities Youth Program Award, the highest national honor awarded to exemplary after-school and out-of-school time programs from across the country. The first lady applauded WriteGirl’s record of guiding 100% of seniors in its Core Mentoring Program to graduate from high school and enroll in college – a remarkable statistic in contrast to the 70% graduation rate of students in the Los Angeles Unified School District. WriteGirl has never turned a girl away and refuses to leave any girl in the program behind. “Never underestimate the power of a girl and her pen.” That is a motto that one of our teen girls wrote, and we have embraced that philosophy at WriteGirl throughout every thread of our organization. Donate to WriteGirl for #GivingTuesday and help us continue to inspire bold voices, cultivate confidence, and instill bright futures for our teen girls. For more information about WriteGirl, visit www.writegirl.org.